We had a busy last week before our half-term break. 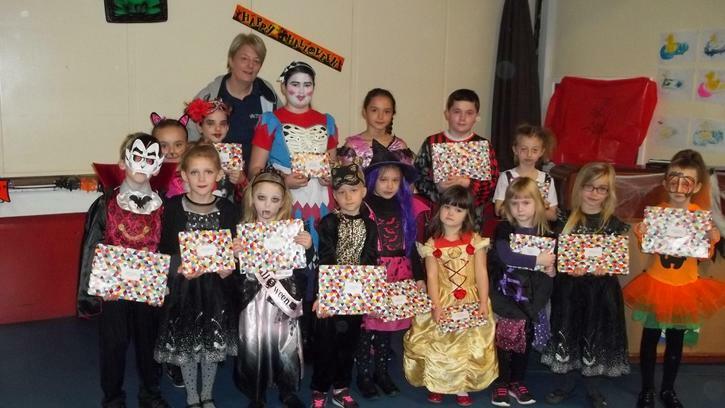 On Tuesday 25th, Friends of Drumgor hosted a Hallowe'en party for P1-3s and a disco for P4-7s. On Friday 28th we had our third and final morning Walking Bus from Parkmore, where boys and girls journeyed to school in fancy dress. Our fancy dress day also raised a total of £372 for the Southern Area hospice. Please see the Gallery for photographs. Thank you also to everyone who visited and purchased from the travelling book fair. Below is a photograph of the children who won the Fair's art competition.